KLH Fabrication is a custom design and build fabrication shop. Projects ranging anywhere from heavy truck and equipment modifications to small house hold and artistic decorations and furnature. We are equipped to handle large and heavy projects. 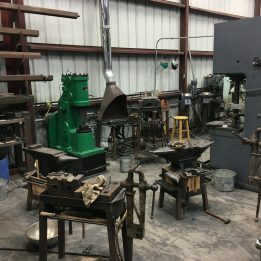 The shop has bending, forming, rolling, CNC plasma cutting, machining, all types of welding capability and hydraulic hose repair. The design side runs with Solid works CAD and 30+ years experience designing and manufacturing mobile equipment. Contact us with your project ideas.